Volvo V40 Cross Country Review 2019 | What Car? Walk over to the nearest window, have a peek outside and these days it’s very likely you’ll see a small SUV parked somewhere nearby. 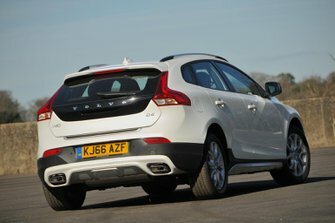 Their popularity seemingly knows no bounds, and the Volvo V40 Cross Country is, in some ways, trying to appeal to exactly those buyers. It’s based on Volvo’s V40 family car hatchback, but it gets a slightly raised ride height and tough-looking plastic bumpers that intend to give it an SUV stance. As such, you get the diesel and petrol engines and the manual and automatic gearboxes from the V40 line-up, but just two trims levels, both unique to the Cross Country. So, you can look at the Cross Country in two ways; one that it rivals premium family hatchbacks such as the BMW 1 Series, Audi A3 and Mercedes A-Class, and the other that premium small SUVs like the Audi Q2, BMW X1 and Mercedes GLA will also be on buyers’ lists. 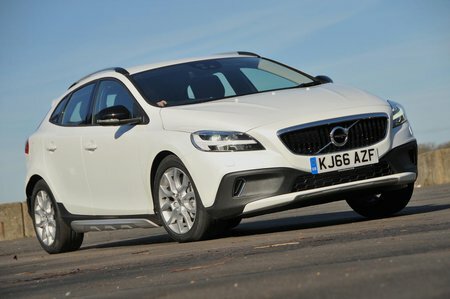 Whether the V40 is the one you should be buying will be revealed over the next few pages.